I am interested in a 30 day trial of Rentfind Inspector. The 5 step process to change the way you do property inspections forever. Although the App is free, you will need to be a Rentfind Inspector subscriber to synchronise inspections. Add a new property (Properties | Add Property, or via the PropertyTree Sync, the REST Sync, or the MyDesktop Import). Add a new inspection (Inspections | Add Inspection, or via the PropertyTree Sync or the REST Sync). Rentfind Inspector enables you to perform both Entry and Exit Condition Reports and Routine Inspections. 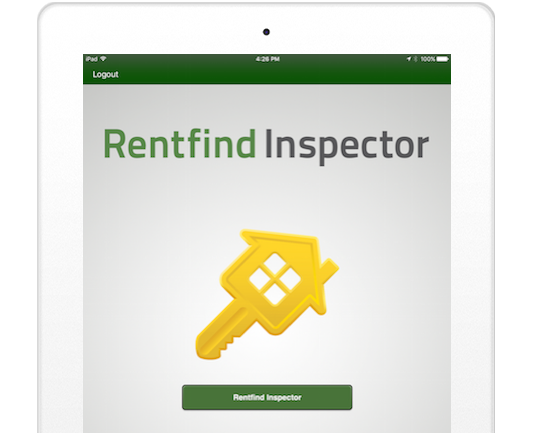 Log into Rentfind Inspector on your device using your Rentfind Inspector logins and tap the "Synchronise" button. Note: Ensure that the staff member assigned to inspect the property matches the user profile you have logged in as. The inspection will appear as an "Active Inspection". Add, edit, remove and re-order Areas using the Area Editor (Actions | Edit Areas). Enter property condition comments using pre-defined phrases. Mark the inspection as Complete and Synchronise it back to your Rentfind Inspector Admin Area. From within your Rentfind Inspector Admin Area, select the inspection. Click the "Email Report" button to email inspection reports. Click the "Print Report" button to open the inspection for further editing or for saving. You will be amazed at the time saving and efficiency aspects of the Rentfind Inspector App.